Today a simple bunch of flowers marks the spot on Cole Road, Bruton where a local elderly resident was hit by a passing vehicle in a hit and run incident. Despite urgent road-side medical assistance, he later died of his injuries. Police have not yet released the name of the victim. This is the notice received today from Avon and Somerset Police. “We are appealing for the public’s help to track the driver of a dark coloured car which was seen in the area at the time a man in his 80s died following a fail to stop incident in Bruton. “The incident happened at about 8.35pm on Tuesday (October 14). The man, aged 84, was going to a local shop with his two dogs. He was found lying in the road with serious head injuries shortly afterwards. Despite being given treatment at the scene he died later. “Our enquiries are now focusing on a dark coloured Chrysler Grand Voyager, an MPV-style car, which we know drove through the town at the time of the incident. 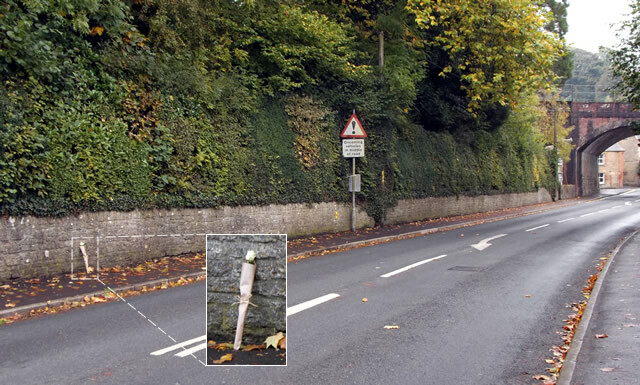 “It is likely to have been travelling in the direction of Frome or Evercreech and is likely to have sustained serious damage and therefore may have been taken off the road since the incident. “We are also appealing to garages, car body workshops and mechanics who may have been approached to carry out urgent repairs to a vehicle matching the description to contact us. “We want the driver of this vehicle to contact us urgently. [UPDATE:] On Saturday 18th October, police made two arrests in connection with this incident. A man in his 40s and a woman in her 30s from South Somerset were arrested on suspicion of causing death by dangerous driving, failing to stop at a road traffic collision and failing to report a road traffic collision. Police are still searching for the black Chrysler Grand Voyager. [UPDATE 27/10/14:] In a further statement by the police, we are told, "We have arrested a 38-year-old man from the London area on suspicion of death by dangerous driving. He currently remains in police custody. 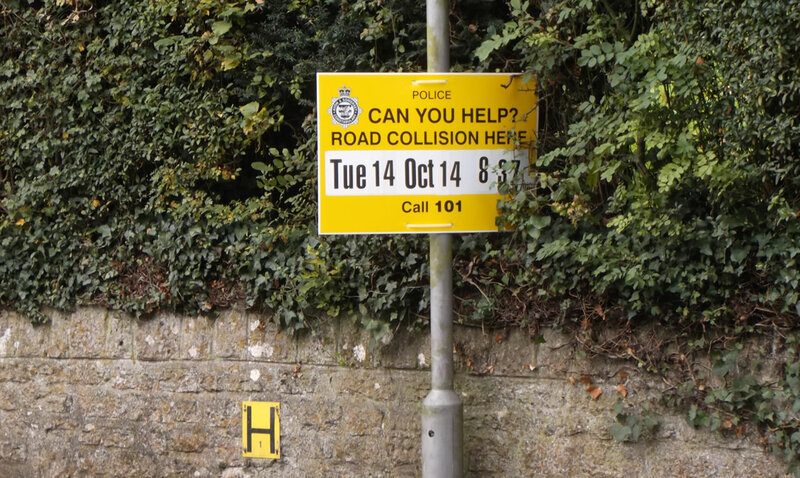 This relates to the death of an 84-year-old man in Cole Road, Bruton on Tuesday October 14. We have now located the car believed to have been involved in the incident." [UPDATE 11/11/14:] Police have re-arrested a 46-year-old man and 31-year-old woman from Somerset in relation to the incident. Read more.